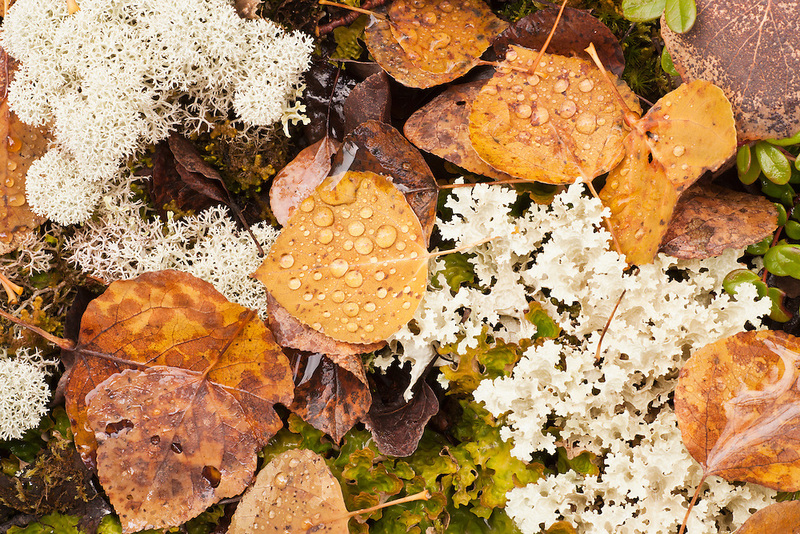 Aspen leaves among Northern Reindeer Lichen and Flattened Snow Lichen with raindrops creates an abstract pattern of shapes and textures in Chugach State Park, Eagle River in Southcentral Alaska. Fall. Afternoon.